Cellulite is a term that describes tiny bumps of fat on an area of the body, usually the legs. These bumps, while medically harmless, can make the women who have them feel self-conscious about themselves and their bodies. Fortunately, there are a number of ways for these patients to eliminate their cellulite and bring a youthful look back to their legs. Located in Cincinnati, Ohio, the Dermatology, Laser & Vein Center is committed to providing our clients with a wide range of state-of-the-art, effective solutions to their cosmetic concerns. If you’d like more information about our practice or are interested in scheduling a consultation appointment, contact us today. While the causes of cellulite are not entirely understood, there are a number of possible explanations that exist. Hormonal factors are thought to play a significant role in the development of this condition. Certain genes associated with gender, race, and metabolism govern the way the body distributes fat beneath the skin, and therefore can contribute to a person’s likelihood of developing cellulite. Lifestyle decisions, like diet, smoking, and alcohol consumption can also increase your likelihood of developing this condition. All of these factors can force fat within the body to bend, causing the skin above it to pucker. They can also cause fat cells to squeeze connective tissues deep within the skin, pulling them down and creating the dimpling characteristic of cellulite. In both of these cases, the fat that is affected doesn’t respond well to diet and exercise, which is why this condition can be so difficult to get rid of without the help of a cosmetic treatment. Before undergoing any aesthetic treatment for this condition, patients must first schedule an appointment with Dr. Shalini Gupta. During this consultation, Dr. Gupta will examine your cellulite and ask you about your aesthetic goals to determine which treatment option is right for you. 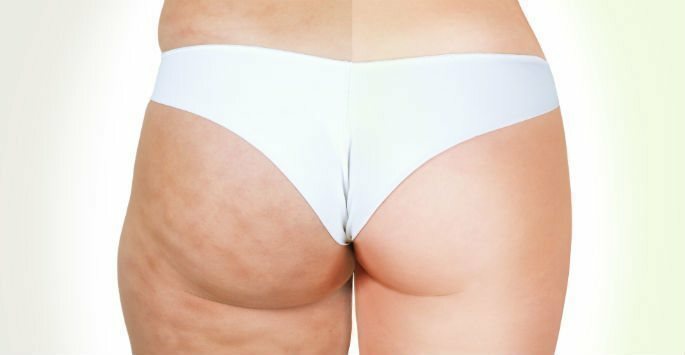 Cellulite can be a frustrating condition to deal with, but we can help! Contact the Dermatology, Laser & Vein Center today for more information about any of the cellulite treatments we offer, or to schedule a consultation appointment with Dr. Shalini Gupta. We look forward to hearing from you!